Effected by the global financial crisis donors could also ultimately prove to be less generous than Palestinians hope. Diplomatic representatives of the United Nations,Spain, France, Italy, Britain and Brazil welcomed the plan but stressed at the meeting in Ramallah what they were already doing to support Palestinian sports rather than what they would do. To be fair, the diplomats were not the ones that control their countries' purse strings. Nonetheless, soccer officials and players concede that crossing checkpoints has become somewhat easier this year. They attribute it primarily to improved security with Israel less concerned about the threat of terrorist attacks being launched from the West Bank. In addition, the PFA has created sleeping quarters in the Faisal Hussein Stadium so that players can get together to train without worrying whether they will be able to return home. Napoli seem to have lost the plot in the month of October. Just a month ago Napoli were on the top of Serie A after defeating both AC and Inter Milan. October has been a whole different month for Napoli as they have seemed to dug themselves into a very deep hole. In Serie A, Napoli have only earned four points out of 12 ever since they walloped Inter at the San Siro. They have lost weaker opposition and have lost a big opportunity of pulling away from the rest of the pack in the title race. Napoli's struggles continued with today's 2-1 loss to Catania. 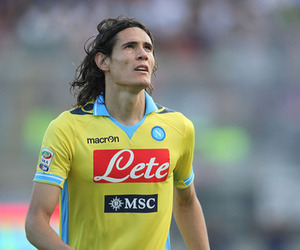 It seemed that they would turn their form around when Edinson Cavani put his side up 1-0 only one minute into the game. But Napoli struggled for the rest of the game and were outplayed by lesser opposition. Catania would then score twice with goals from both Giovanni Marchese and Gonzalo Bergessio. Catania would hold on and claim all three points in this important fixture. To add insult to injury, Napoli ended the game with 10 men with Mario Santana controversially sent off late in the first half for a second bookable offence. Walter Mazzarri will have to do everything to help his side to turn their form around as they have to go to Germany in the midweek to play Bayern Munich in a very important Champions League fixture. With Manchester City trailing Napoli by only one point in the group, Napoli need to get a good result in Germany to hold on to their chances of entering the knockout rounds of the competition. Hopefully November will bring brighter fortune to Napoli. Hello everyone, the sun has set on what was a wonderful afternoon which saw the gunners better Chelsea in a 5 – 3 score line and once again, Robin Van Persie stood out amongst all of the Arsenal players. I think it would be a fair assessment to make that with RVP fit for a full season, Arsenal is bound to pick up a trophy and he (RVP) is a much more valuable asset to the squad than Nasri and Fabregas. Today saw all of the Arsenal fans witness some of what Van Persie is all about, but one thing that we have to recognise is that RVP is a full professional who is fully committed to the club. He has the kind of leadership Arsenal has been lacking for a while now whether it’s leading by example on the pitch or off the pitch. However, let’s not get side-tracked from what this article is about so let’s talk about his performance today. The day started off with everyone slightly nervous and quietly confident having come to the game with eight wins out of nine matches. RVP’s first goal came from a piece of unselfish play from Gervinho which steamed from a beautifully pick pass from Ramsey, at the end all RVP had to do was tap the ball in. His second goal came from a fail attempt by J. Terry on what looked like a rugby manoeuvre which left Van Persie with a one on one with Cech which he took beautifully, rounding the keeper first, before passing the ball into the net with his right foot. The third goal showed us the Van Persie of old, latching onto a pass from Arteta, and he unleashed a vicious attempt on goal which took a wicked swerve that beat Cech on his near side. On the whole I would say despite his hat-trick today he would have still been a strong contender for the MOTM because he was involved in everything and he also created a few chances as well. One of the most notable things about RVP is his ability to be in the right place at the right time, which is what Arsenal need right now. Many people are calling for Wenger to change the formation and have Van Persie play behind the main striker which was his original position. But in my opinion, what’s the point of putting Arsenal’s most potent goal machine behind someone who will squander the chances he will put their way? When it comes to Robin Van Persie there is so much for me to say but am not a fan of writing as a whole so writing long articles is really not for me. My last point would be as a striker, Van Persie is the best in the world at the moment. I know many will start saying what about Messi or Ronald but they are different types of players. Yes, they all score a shed load of goals, but there is more to being a striker than putting the ball past the goal keeper. Thank you for reading, you can find me on Twitter @CheeseN_Buns and I will try and write more articles as I can.